With the Android 2.3.3 update already available, Google is making lots of Nexus One and Nexus S owners happy. Among the improvements are a new on-screen keyboard, one-touch word selection with copy and paste, and optimized power management ensuring longer battery life. The Nexus S in particular gets cured of its issue with random reboots and receives additional NFC capabilities. One specific change, included in the Nexus S update, has to deal with the Facebook app and the way it handles Facebook contacts. From now on, the Facebook application will lose its privilege to keep information integrated within the Android Contacts app. As a result, all the Facebook contacts, which have been integrated within the ones on your phone, will be wiped out as if you have uninstalled the application itself. 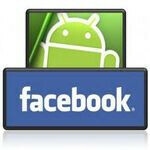 The good news is that Facebook contact data will still be usable and will continue to appear in the Facebook app. A Google representative stated, that the Nexus One will not be affected, but the Nexus S and ”future lead devices” will have to obey the rules. The official reason behind this move is the inability for contacts to be exported resulting in a “false sense of data portability”, which does not comply with Google's policy of two-way transfer of information. Seems like Google cannot keep on tolerating Facebook not using Android's contacts API and having contact information remain in the cloud. Furthermore, getting a hold of Facebook contact data may prove useful to Google and other developers. Wish the Nexus S came to Verizon, and no I don't mean a new name to a Samsung phone ala HTC Incredible.